The council will consider six housing-related proposals. This week, the Oakland City Council will consider six separate proposals to build new housing, including affordable housing, assist renters facing displacement, and to provide shelter and resources for the homeless. Homeless shelter and services: After approving the concept of creating "safe havens" where homeless residents can camp and securely store their belongings, this week, the city council is set to allocate half a million dollars to hire two nonprofits to help set up and run these locations. Bay Area Community Services would be paid $200,000 to run a navigation center that would help homeless people seek transitional housing. And Operation Dignity would be paid $300,000 to provide "community building, volunteer coordination, and safety to clients at the Safe Haven Outdoor Navigation Center." It still isn't yet clear where the city will set up one or more of these sanctioned homeless camps, although a list of possible sites was picked in previous weeks by city staff. Also, groups like The Village are seeking permission to set up sanctioned camps of their own. Regardless of where and when these sanctioned camps open, there's still a growing need for winter shelter beds. The rains and cold have arrived. The city council is also considering spending $385,000 on shelter beds this season to help people get out of the elements. But the funds will only pay for 135 bed spaces, 100 of which are located at St. Vincent De Paul, 675 23rd St.
Another 25 beds will be available exclusively for seniors at St. Mary's Center, 925 Brockhurst St. Ten more beds will be available in East Oakland at 7515 International Blvd. through the East Oakland Community Project. It's a small, insufficient amount of shelter space, really. Oakland's homeless population is above 2,700 persons. At least 1,900 are unsheltered on any given night. Many of our homeless neighbors have mental health problems. Hundreds are struggling with drug and alcohol addition. There are hundreds of youths (under the age of 24) on the streets. 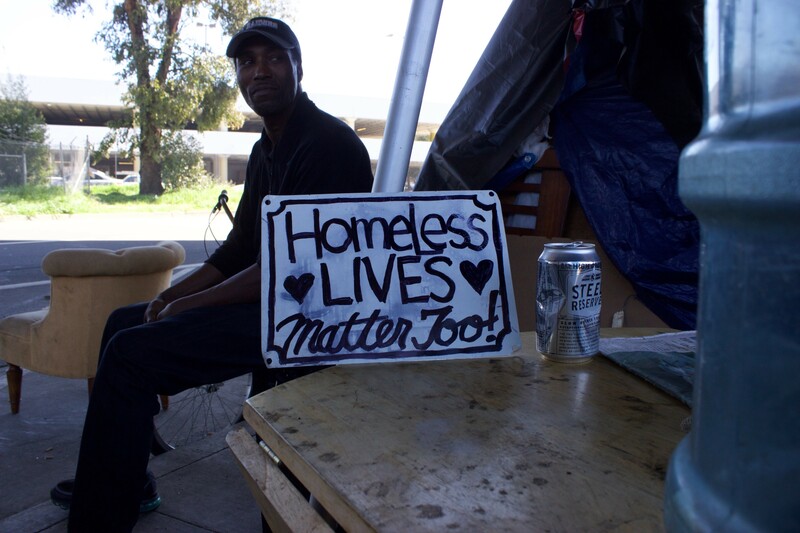 Dozens of Oakland's homeless have been diagnosed with HIV/AIDS. Hundreds more are victims of domestic violence. Last year, according to city records, 145 out of 272 people who used the city's shelters were able to transition out of homelessness by accessing transitional housing services and other resources available through the shelters, according to a city review. Stronger tenant protections and assistance: Landlords can currently exempt their apartment buildings from rent control if they apply for a certificate showing they've "substantially rehabilitated" the property. The intent of the rule was to encourage property owners to fix up uninhabitable structures and bring them back onto the housing market. Oakland is one of only two cities in California with rent control that allows landlords to exempt their buildings permanently under this rule. But some landlords have used the rule to take rent control away from apartment buildings that were continuously occupied, and where the investments appear to have been nothing more than routine maintenance and capital improvements over the years that should have been carried out anyway. Tenant activists are pushing to have the rule deleted from the city's rent adjustment ordinance. On Tuesday, the council will vote on a proposal to implement a 180-day moratorium that would stop landlords from filing new petitions to exempt housing from rent control. In the meantime, the council would consider a permanent fix to what tenants are calling a "loophole." Oakland Councilmember Dan Kalb's office wrote in a staff report that there's recently been a surge in petitions filed by landlords seeking exemption. Kalb and Councilmember Rebecca Kaplan, a co-sponsor of the measure, both say a moratorium is urgently needed. Leah Simon Weisberg, an tenants' attorney with Centro Legal de la Raza, said there are currently 71 apartments that could be withdrawn from the city's rent controlled affordable housing stick, according to petitions filed with the rent board that she's reviewed. Landlord oppose changing the rule and say it will result in a lack of investment in Oakland's housing stock. Oak Knoll is the city's second largest development project in terms of housing units. 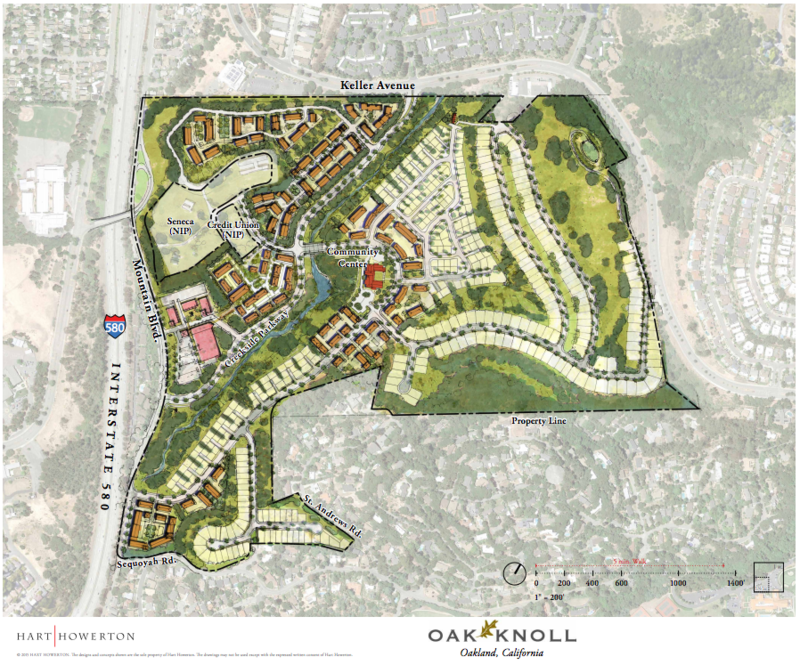 Oak Knoll: The council is also scheduled to consider the Oak Knoll project on Tuesday night, a giant development that calls for building 918 homes on the 183-acre former Naval hospital site in the hills above the 580 freeway. But labor unions are pushing for the council to vote no and stop the project. The unions are concerned that there isn't an agreement yet to hire union workers to build the housing and that there isn't an affordable housing component and other community benefits spelled out in the development agreement with SunCal, the company that is behind the project.